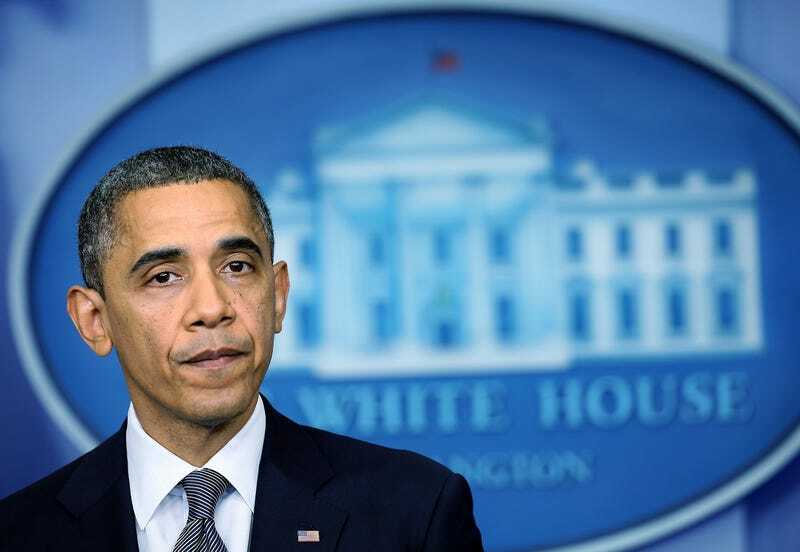 (The Root) — On Wednesday President Obama delivered a firm statement about the policy process his administration will pursue in the wake of Friday's Newtown, Conn., school shooting, which he called a "heartbreaking tragedy." He announced that he would ask for concrete proposals from a variety of sources, including cabinet officials, to address gun violence. He said that he wanted these recommendations by January, and assured that he would then push specific legislation "without delay," urging Congress to vote on it in a timely manner. "This is not going to be some Washington commission," he said, announcing that Vice President Joe Biden, who wrote the 1994 crime bill that included the assault-weapon ban, would lead the effort. The president pointed to what he called a "growing consensus" for gun-violence solutions, including banning the sale of military-style assault weapons, and requiring background checks for gun purchases. "It's encouraging that people of all different backgrounds, beliefs and political persuasions have been willing to challenge old assumptions," he said. The fact that this problem is complex, he added, can no longer be an excuse for doing nothing, listing instances of deaths due to gun violence even more recent than Friday's tragedy, including a 4-year-old who was the victim of a drive-by shooting in Missouri, who he said was removed from life support yesterday. "This time," he said, "the words need to lead to action." Answering questions about the fiscal-cliff negotiations with Republicans, the president was equally blunt in addressing what he said was an unwillingness to compromise, in a rare suggestion that his opponents' criticism of his proposals was personal rather than political. "I don't know how much that just has to do with … it is very hard for them to say yes to me. But at some point they've got to take me out of it and think about their voters," he said. Tying his comments back to the Newtown tragedy, he added, "If this past week has done anything, it should give us some perspective."